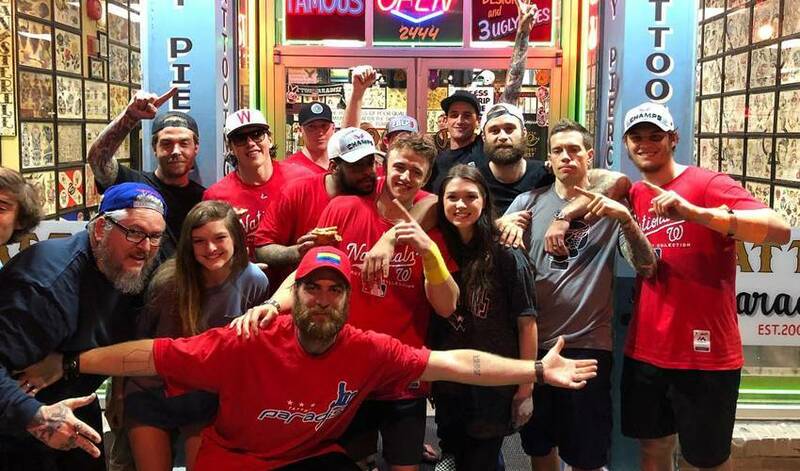 In the celebratory aftermath of hoisting hockey’s biggest team prize aloft on June 7 Jakub Vrana, Braden Holtby, T.J. Oshie, Brett Connolly, Devante Smith-Pelly, and Andre Burakovsky decided to commemorate the occasion by getting tattoos. Vrana, 22, needed a helping hand, literally, from Capitals backstopper Holtby to get through the process. Photos circulating around various social media channels showed Holtby holding Vrana’s hand when it was the latter’s turn to get his artwork done. Who toughed it out the best while getting inked? 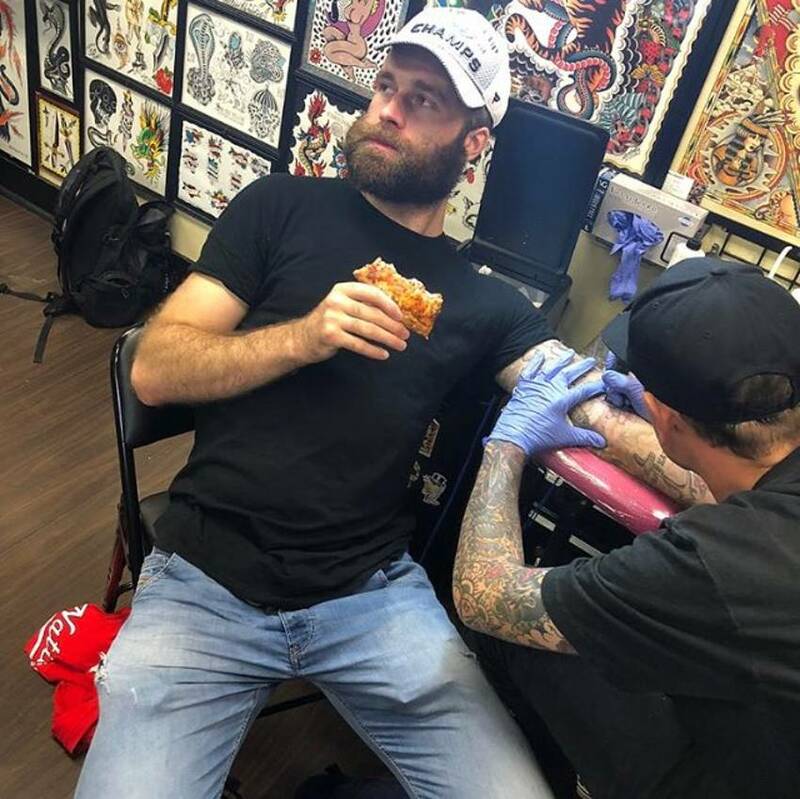 Connolly, who had six goals and nine points in 23 games during Washington’s Cup run, took great delight in watching his teammate struggle through the tattoo experience – while his own seemed easy as pie. For the 26-year-old forward, it was more rewarding to see Vrana’s reaction than getting his own done. Good-natured jabs aside, both Connolly and Vrana view the tattoo adventure as a perfect example of the bond the Capitals players share on and off the ice. And if Vrana needs a hand on his day with the Cup, will Connolly be there for his teammate? Vrana can’t wait for that moment. And maybe, just maybe, it’s worthy of another tattoo before the new NHL season gets underway.